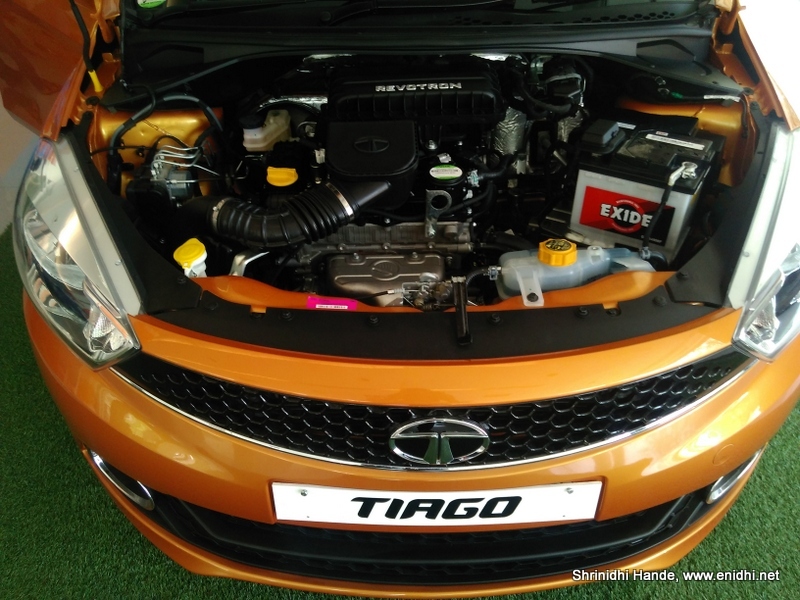 Today I visited Tata Motors dealership to get the on road price of Tiago in Chennai and to find out what is going on with the car. I have already driven the car during its media drive in Goa last year (review here, pictures here). It was formerly ZICA, then renamed as TIAGO and commercial launch happened last week finally. Tata Motors have pinned lots of hopes on Tiago and it has been launched at cut throat pricing, starting at 3.2 lakhs, ex-showroom, Delhi. That pricing is almost at par with mid variants of Renault Kwid, which has much less power and feature. Apparently this low pricing won't last long according to company officials (Read this HT report) and Tiago prices may see an upward revision soon. Note that besides on road price, customers can optionally avail an extended warranty that costs from Rs 5700 to 7100 depending on variant and an AMC deal priced between 4700 to 5200 INR. Showroom guy didn't have a brochure that lists variant wise features. My guess is it is under reprint given the brand name change. But you can compare the variants on Tata Motor's Tiago website. One shocking find is that ABS is available only in top end XZ. Not even an option on other variants. As a quick recap, Tiago comes with new 1.05 litre Revotorq diesel and 1.2 litre Revotron petrol engine. 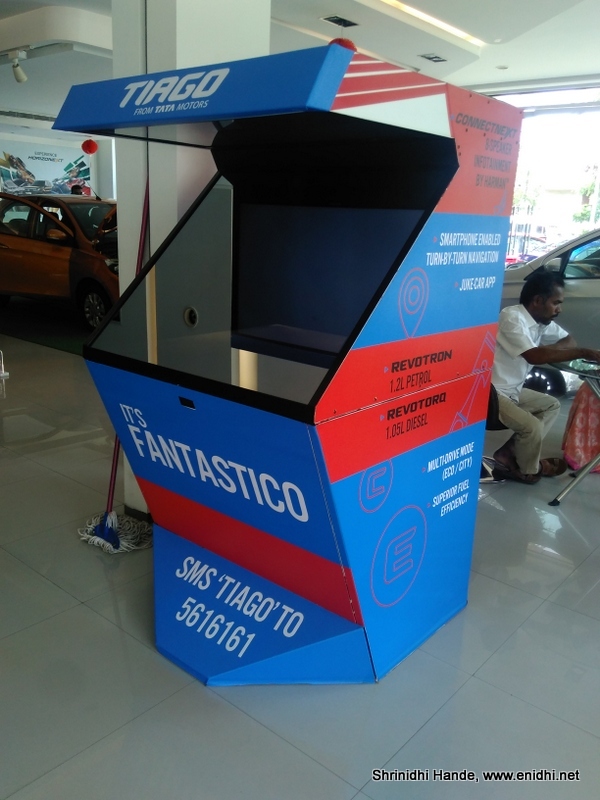 Tiago is built ground up from best of the design and engineering brains from Tata Motors and offers several segment first features including customizable panels, 22 utility spaces, Juke app, navigation, new design door handle and much more. A kiosk has been setup to enable customers know more about Tiago and Lionel Messi. But it wasn't fully operational. Sales person was pretty energetic and explained me the features well. 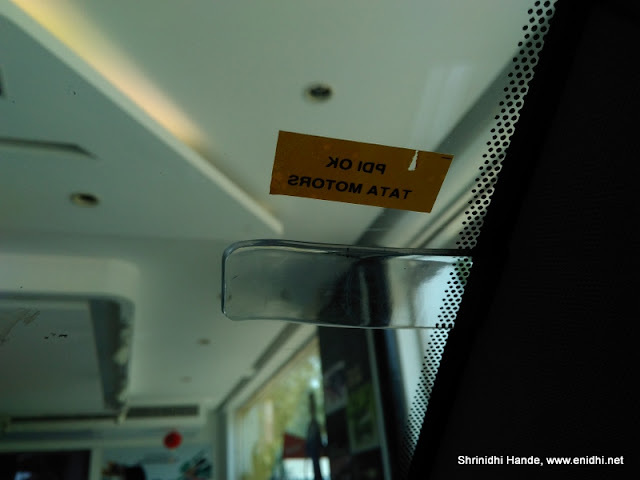 This small thing- which acts as a parking ticket/toll ticket holder was not present during the media review. Simple but very useful feature. 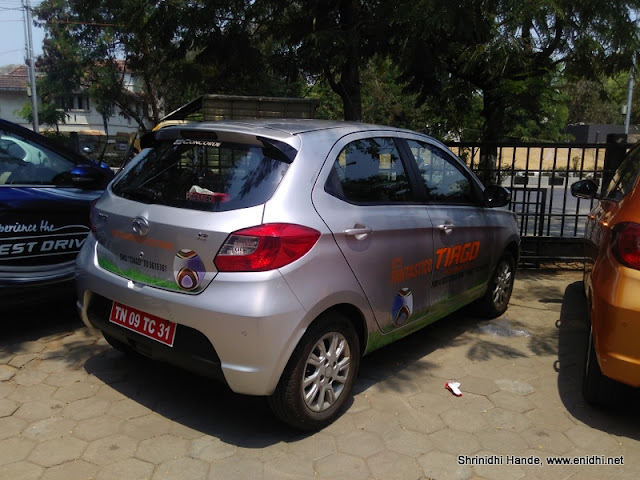 What is the waiting period for Tata Tiago? I am told petrol variants have a waiting period of close to 1 month while diesel Tiagos may take up to two months. Tiago is made in Tata Motor's Sanand plant in Gujarat, same place where Nano is made. Was tempted to take another test drive, but let it go, as test drive vehicle had gone out and I didn't have lots of time to wait. 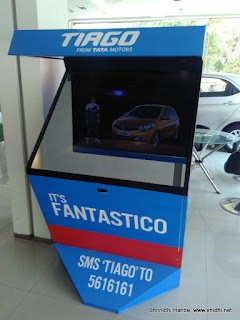 Best wishes to Tata Motors for the success of Tiago. Tiago is a pretty impressive car in its price range. Do check it out. Disclaimer: All information as known/available while writing this post. Pricing and other information are subject to change over time. Tiago no doubt is a fantastic car. An absolute bang for the buck. I just hope that their ASCs live-up to the expectations. Such decisions are taken at the very top. Officials manning the auto expo stall might not be in knowledge or in authority to speak about not yet decided things. Informative discussion , I was fascinated by the information . Does anyone know where I might get access to a fillable IRS Instruction 1120 version to fill in ? 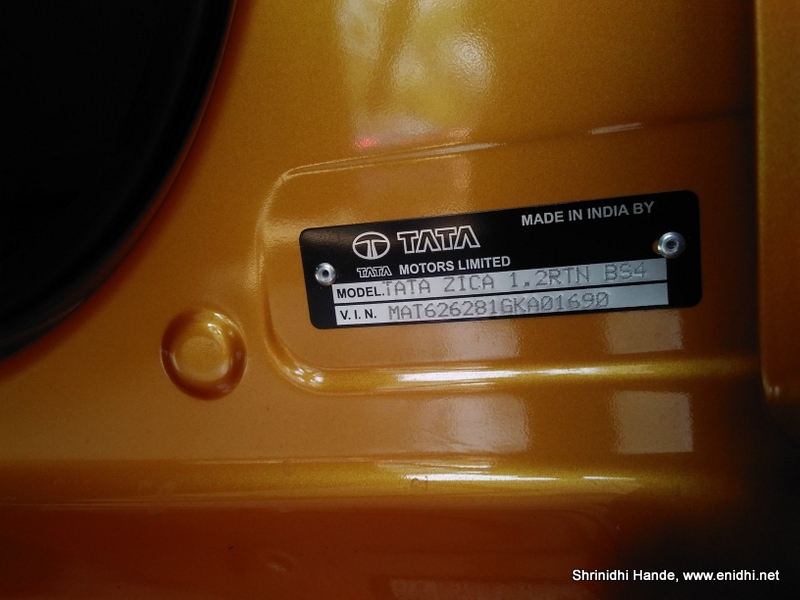 nice review .i feel tata has got it right this time with the pricing.everyone was happy with the car and there was no such negative review but the pricing was very critical one and they have not disappointed . also why launch a basic model with no a/c and audio system? Why i can't see any Tata Tiago cars in Chennai? Today 19/05/2016 but still i can't able to see a single Tiago cars in Chennai. Is it delivered to the booked clients?